At the press conference, H.E. Mr. Al Baker highlighted the award-winning airline’s robust expansion plans, as well as its commitment to bringing more visitors to Sweden and to connecting Gothenburg to its extensive global network via the award-winning Hamad International Airport (HIA) in Doha. As one of the world’s leading international air cargo carriers, Qatar Airways Cargo already has a large presence in the Nordics region, operating belly-hold flights to and from Helsinki, Oslo, Copenhagen and Stockholm, along with four weekly freighters from Oslo. The five weekly wide-body belly-hold flights to and from Gothenburg will increase the overall tonnage to 1,000 tons per week from the Nordic region. 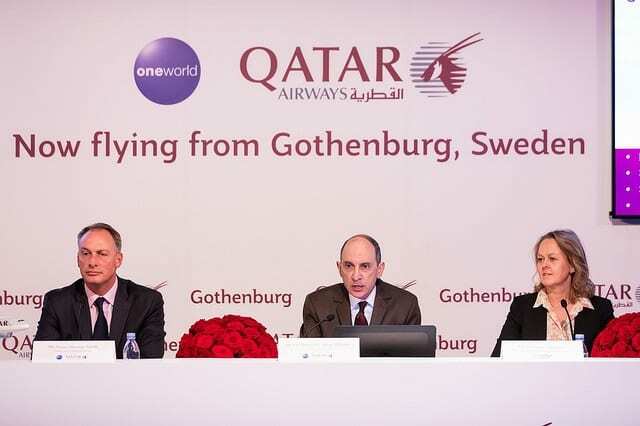 Direct flights from Gothenburg will greatly benefit the automotive, pharma, high tech and general industries in Sweden, and offer efficient connections to Middle East, Africa, Asia, Australia and New Zealand via the carrier’s state-of-the-art hub in Doha. ROSEAU, Dominica - The island of Dominica would like to thank the Caribbean community and others for the support we are receiving in the days following Tropical Storm Erika.